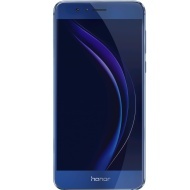 alaTest has collected and analyzed 1920 reviews of Huawei Honor 8. The average rating for this product is 4.8/5, compared to an average rating of 4.1/5 for other Cell phones for all reviews. People are impressed by the camera and design. The performance and price also get good feedback. Many are critical about the text input and GPS navigation. We analyzed user and expert ratings, product age and more factors. Compared to other Cell phones the Huawei Honor 8 is awarded an overall alaScore™ of 92/100 = Excellent quality. This is one Honor phone that sticks to a traditional single camera. It has great looking and easy to use. It has twin cameras which is great in low-light condition. The response of the finger print sensor is extremely fast and it is even faster than iphone 6s.